Marc Masip invites us to test ourselves and find out what our level of addiction is. From there, and based on real cases from his patients and their reports, he presents a wide variety of situations of people who are making inappropriate use of mobile phones, and who have decided to take the plunge and ask for help. 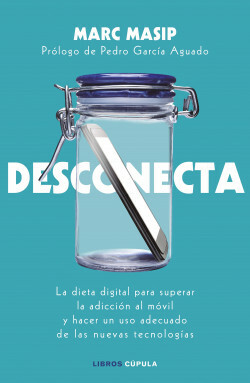 The author ends each of the chapters with a piece of advice that, at the end of the book, becomes his proposal for a digital diet. The book is designed to awaken and generate a lot of empathy with the reader, who feels identified, and who can analyze how they are using technologies and how to improve their relationship with them to gain in quality of life, enjoy more free time, friends and family, improve performance at work, and ultimately, be freer. Italia (Edizioni Il Punto d’Incontro).